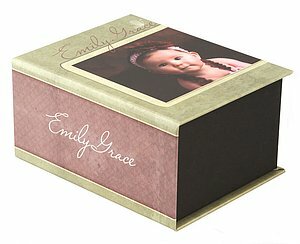 Make a lasting impression by with an easy to customize Image Box. Available as the perfect presentation piece for Proofs, Albums, or Photographic Prints mounted on black styrene. 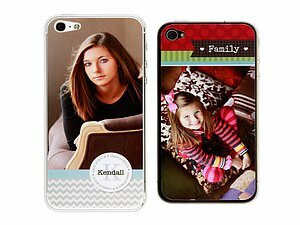 Phone Skins are printed on a low-tack, repositionable vinyl with a gloss laminate for protection. When it’s time for a change, simply peel the Phone Skin off and apply a new one. The Phone Skins adhere to just the back of the iPhone 4/4s or 5. They are thin as to not interfere with cases or bumpers that are added for additional customization and protection. The Phone Skins also should not interfere with chargers or docks. variety of sizes from wallets to 30x40 and larger. •Gallery Wraps - Gallery Wraps are made with real wood and are available in 1½" and 2½" depths. • Framed Prints - Frames will be priced at the time of order as we have a vast selection of options.? An MBA Float Wrap is a new, unique option to display images. Float Wraps are similar to Gallery Wraps or Standout mounted prints in that they add dimension by extending out from the wall. Float wraps are unique in that they appear to be floating on the wall with the main focus on the image! Create a modern display with a Float Wrap wall collage that is ready to hang once removed from the box! Standout is the perfect contemporary mounting option that doesn’t require a frame to hang on the wall. The sleek edges and sides of the Standout mount can create a modern wall display with the focus all on the image. Standout is available in two depths, ¾" and 1½" so dimension can be added to a wall by mixing and matching Standout depths in the display. Standout is made from lightweight foam banded with a Black, White, Light Wood, or Stainless edge and comes ready to display with hanging holes on the backside. Photographic prints, Fine Art Canvas and Fine Art Velvet prints can be mounted onto the front of Standout. Standout is currently available in popular sizes from 8x10 to 30x40. Our Proofbooks are multiple image contact sheets bound together with a spiral coil, a clear or frosted acetate cover, and a black cardstock back. Proofbooks are available in vertical 8.5x11 or horizontal 11x14 sizes with options of 4, 6, 9, 12 or 20 images per page on a white, black, or gray background. With filenames listed below each image, our Proofbooks make it easy for you to view your images and use this custom book as an ordering tool. There is no maximum number of sheets per order. If the number of sheets exceeds the amount we can bind in one book (90 pages max), we will split the book into 2 or more equally sized books. Handcrafted to Perfection, our books are custom designed, not templates that has placeholders to simply slide an image in. Make any event a more remarkable memory with a customized book. Our Press Printed Books are unmatched in print quality, craftsmanship and turnaround time. Be sure to check out some of our page examples in the Senior Specialty Gallery. We can see it in your eyes. You’re looking for the perfect way to make an important announcement. In that case, you need to meet our Greeting Cards.